Charles Peery came and fixed our kitchen oven and freezer, he always does amazing job. He is an awesome person. All the men who helped us, including the technicians and salesman were cordial and efficient and I would definitely recommend their services for electrical or A/C work. The next time we need plumbing work we will give them a call as well. Today, during the regular spring maintenance on my HVAC unit, Colden was very helpful in identifying and explaining the issues related to my 17 year old unit. He took photos and explained each part, its function, and the steps I need to take to keep my unit running efficiently. He gave me enough information, so that I could make an informed decision as to whether I should temporarily address the issues, or consider replacing the unit. During our conversation, I never felt pressured to make an immediate decision, but I did appreciate having the information needed to make the right decision. 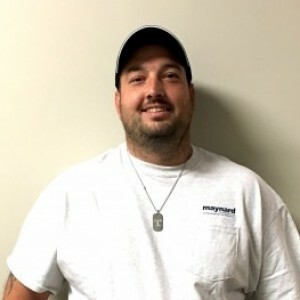 Colden's customer service standards are note-worthy and are a big reason I chose to go with Maynard Man as my HVAC service provider. I've been a loyal customer for nearly 28 years. I trust Maynard with my home's heating and cooling system maintenance and recommend you call them. Warren and Blake came out on Monday to fix a water heater leak. They were efficient, professional, and explained the problem and gave me suggestions on how to maintain the water heater. Very friendly. Maynard Select has the very best servicemen. I have not encountered any problems or disappointed visits from them. They all become part of the family! Richard did a great job inspecting our house ,and he also explained a few thing about plumbing that i am very glad to know.We have a 2 story house and the top floor is not used,Richard pointed out the need to run the water in the sinks occasionally because the water in the trap eventually drys out leaving the path for sewage fumes to enter the house.I didn't know it. Very honest and professional. 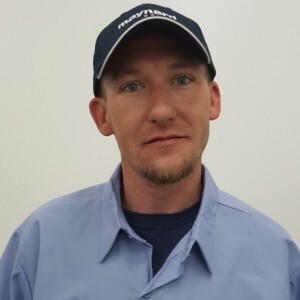 Colden fixed the issue with my AC quickly and communicated very well. I will only use Maynard from now on and will request Colden. He is a trustworthy guy! Incredibly helpful and efficient! Perfect service! He arrived promptly, was careful not to make a mess and picked up after some earlier Maynard people, was very pleasant and professional. Josh was very polite, professional and thorough. David was professional and polite. He throroughly explained what repairs were needed and how to better maintain our unit going forward. He worked quickly and efficiently. 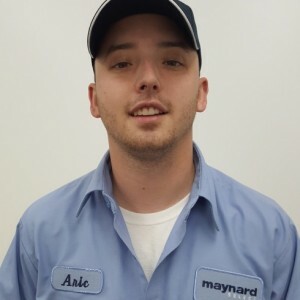 Maynard is top notch along with all the employees. Josh Weaks was my technician today and did a fantastic job. Very knowledge, professional, and polite will recommend him to anybody needing service. very nice gentleman very professional and very efficient . 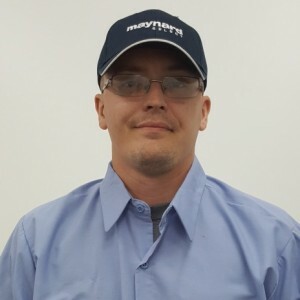 Jimmy H has a 5-Star rating and leads the company in total reviews, making this pro a ReviewBuzz Rockstar! 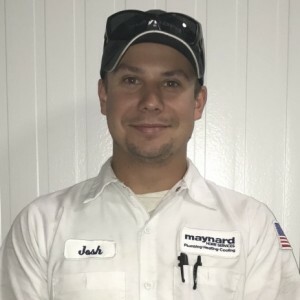 Jimmy H and the Maynard team provided professional and reliable service installing my heating and cooling unit. Thank you for doing an excellent job!